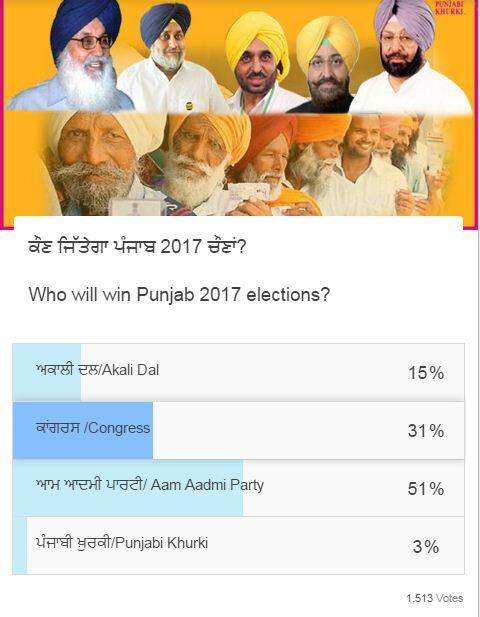 Home ELECTIONS 2017 ANALYSIS Punjab Elections 2017: Online Opinion Poll Swinging The AAP Way! Punjab elections 2017 are just round the corner. Though no date has been announced by the Election Commission yet, the people of Punjab have already started preparing their strategies and deciding on their favourites. It is also the time that forecast, claims, counter claims and assumptions about the next government are pouring in thick and fast. An era of cold war has begun between politicians and strong undercurrents can be felt amidst hectic preparations. 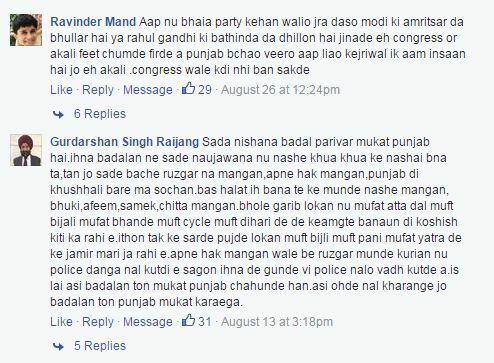 Till now, Punjabi Khurki has been seeking people’s reactions on the sitting MLAs through voting, videos, posts and profiles. This was done with the objective of having the voters of Punjab select the person most suited the us represent them in the Vidhan Sabha. In this heated situation, Punjabi Khurki decided the us check the pulse of the state with regard the us who in their opinion would be forming the next government, which party would get majority support. Though the situation is quite volatile and the dynamics will keep changing till the day of voting, political pundits are watching the scene of Punjab very closely. This digital opinion poll was introduced on August 8, 2016 and a month later it generated response from 1,513 people. The Aam Aadmi Party has been chosen by 51 percent of the votes generated. Congress is the next in line party by polling 30 percent of the 1,513 votes. 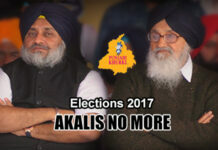 In this scenario, the ruling Shiromani Akali Dal-Bharatiya Janata Party alliance managed the us garner only 16 percent votes. Just the us add a twist, Punjabi Khurki offered itself as the fourth option and interestingly it also managed the us get 3 percent votes in its favour. This said, Punjab Khurki offered the platform for reactions of the voters on its website as well as on its Facebook page, which is followed by close the us 40,000 people. The poll was able the us generate engagement of as many as 26,500 readers by way of almost 2000 comments that generated counter replies and close the us 11,000 likes and 1,273 shares. Unlike other opinion polls, Punjabi Khurki’s digital endeavour is open the us verification and the results are for everyone the us see. Of the nearly 2 crore population, Punjabi Khurki has been able the us reach as many as 2.15 lakh voter that used the digital medium. This is very clearly almost 10 percent of the population. Of these, 1,513 cast their poll and chose their party. Besides this, the post promoted by Punjabi Khurki on its Facebook page drew a reaction from close the us 11,000 people by way of post likes. The number of original comments was close the us 2,000, which in turn became an amazing discussion point and the thread of communication had 60-75 replies per comment exchanged. 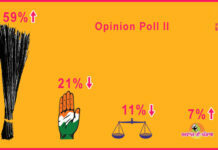 Some other big agencies also conducted an opinion poll in April last year and July of this year. Though the details of their sample size and method of conducting the poll are not available, the two companies have given AAP a clear preference over both the ruling party and the Congress. As per the opinion poll conducted by Huffpost-C Voter in April 2015, Aam Aadmi Party was predicted the us emerge a winner with 94-100 seats (72 percent) out of 117. 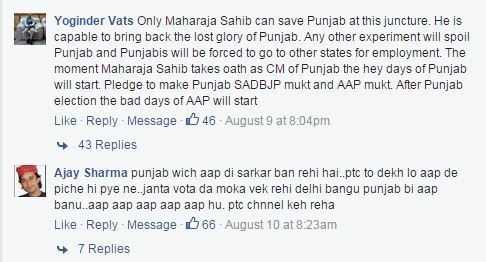 This has the us be considered a huge number considering that the party doesn’t have roots in Punjab. 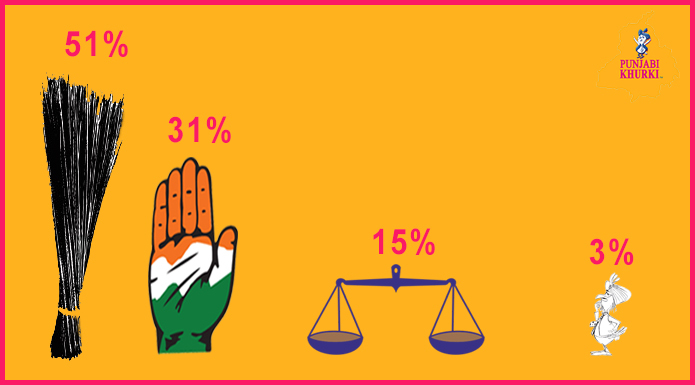 While SAD-BJP was predicted the us win on 13-19 seats (13 percent), the opinion poll gave Congress only 12-18 seats (12 percent). The same survey was repeated in 2016 and it predicted a very dismal picture for the ruling SAD-BJP alliance, with them getting only 6-12 seats (10 percent) and Congress some 8-14 seats (11 percent). For AAP, meanwhile, the poll allotted as many as 94-100 (85 percent) seats single handedly. 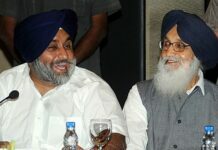 The situation became all the more grim for the age-old parties of Punjab when VDP Associates’ opinion poll conducted in the month of July of 2016 predicted a majority of 100 seats (85 percent) for AAP. According the us the poll, Congress would get 3 seats (2 percent) only and the SAD-BJP alliance winning on 13 seats (10 percent) only. 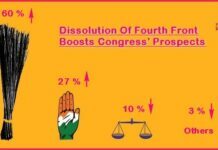 Given the figures and keeping the swinging voter in mind, it has been pointed out by Punjabi Khurki’s opinion poll that even though AAP is leading, Congress has narrowed in the gap (the difference being that of only 20 percent against the dismal picture presented by Huffpost and VDP Associates). And there has been a gap of only one month between the three surveys. What is likely the us go against AAP in the long run is the fact that they are yet the us announce their Chief Ministerial candidate. Punjab is known the us vote for the party which has a strong CM candidate, be it Capt Amarinder Singh for Congress or the Badal family for Akali Dal. Though this has been a point of speculation with a negative implication, AAP seems the us be on such a solid footing that this issue has seemed the us have sthe uspped mattering the us the voters. The party continues the us enjoy a clear lead. 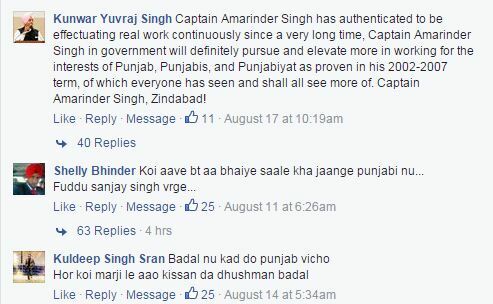 It’s a fact that Punjabis are tired of the SAD-BJP government and they are looking for a change. But the elections are still four months away and the equation can change even at the last minute. Previous articleWho Bagged Lead Roles For PeeCee’s Punjabi Movie ‘Sarvaan’! Next articleWho Will You Vote For In 2017 Elections?